Historical Note: The area was settled by Swedes when the Ekblad brothers came in 1866. 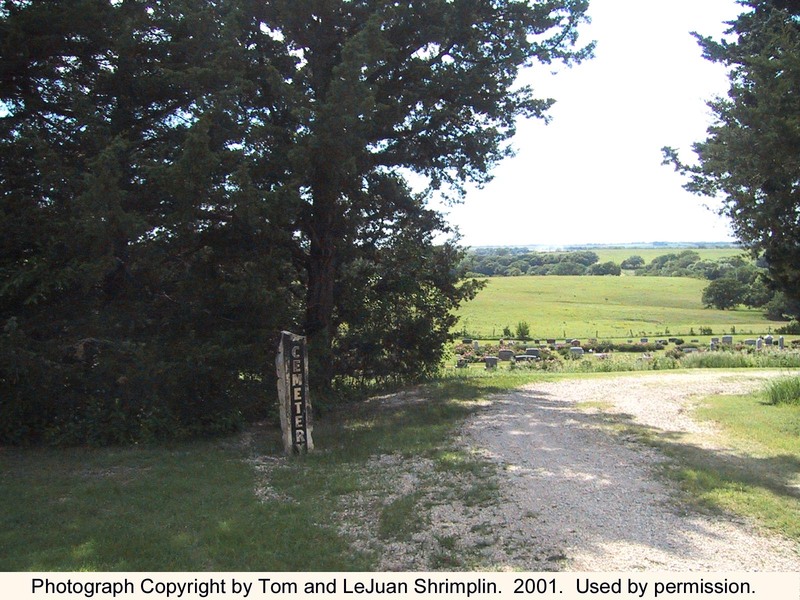 G. L. Ruthstrom gave 10 acres of land for the church and the cemetery and then gave $100 toward a building fund. The church was established in 1873 and built in 1877, struck by lightning in 1918 and rebuilt. Earliest grave is that of G. L. and L. M. Ruthstrom’s daughter, Josephine A., who died 1 March 1868, age 4 months and 6 days. Directions: From Leonardville, take Barton Road, Highway 24, east to the edge of town, turn left (north) onto Crooked Creek Road, County 875N for two miles. Turn right (east) onto Walsburg Road, County 384W, and go two miles. The cemetery is on the southwest corner at the intersection of Walsburg Road and Union Road. 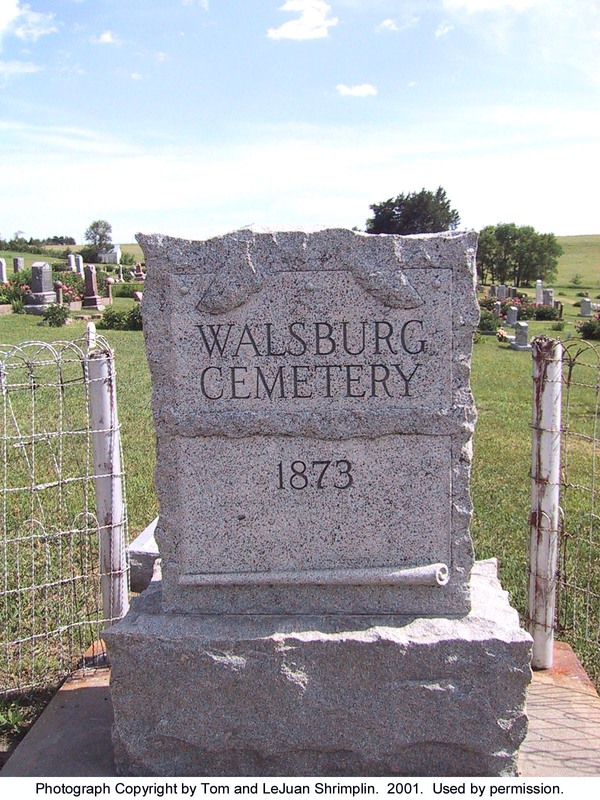 It is west of the Swedish Lutheran Walsburg Church and one mile west of the town of Walsburg.